In his State of the Union address, President Barack Obama failed to mention the late Ambassador Christopher Stevens and the three other Americans who died on Sep. 11, 2012 in the terror attack on the U.S. consulate in Benghazi. He mentioned the victims of the massacre in Newtown, CT in December, and invited the families of victims of other violent gun crimes to watch from the gallery. But the Benghazi victims’ families were not present at all. Today, the organization that attacked us on 9/11 is a shadow of its former self. Different al Qaeda affiliates and extremist groups have emerged – from the Arabian Peninsula to Africa. The threat these groups pose is evolving. But to meet this threat, we don’t need to send tens of thousands of our sons and daughters abroad, or occupy other nations. Perhaps we don’t need to send “tens of thousands” abroad–though I would argue that Obama’s current policy of weakness (“leading from behind”) will make it inevitable that Americans will have to cross the oceans again in large numbers to defend our freedom. But Benghazi was about a few courageous Americans, carrying out the nation’s mission in a strange and isolated place that the administration was woefully reluctant to defend. It is appalling to know that American heroes would give all for their country and would simply be ignored, out of apparent political expedience. “What difference does it make?” former Secretary of State Hillary Clinton yelled, and it certainly appears to have made little for the President, who did nothing to save the lives of those he sent into danger but seems to feel no remorse as long as the media does not demand answers. Obama’s Democrats shed appropriate tears for the children of Sandy Hook. But where were the tears for “gun violence” abroad as well as at home? for the children left fatherless by a terror attack Obama wanted to hide? I blame the Republicans, as well. Their Democratic colleagues arrives at the State of the Union address sporting green ribbons to show their solidarity with victims of gun violence. Where were the black ribbons on the chests of those Republican legislators? Where was the solidarity with the fallen in Benghazi? Did they think about the dead when they slapped each other on the back and exchanged grateful handshakes with their rivals? 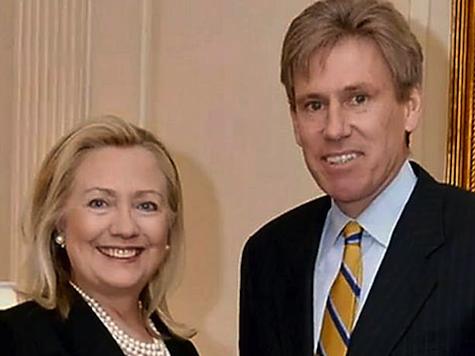 Who knew Chris Stevens would be forgotten so quickly by the nation he loved and served so dearly?